Many pet parents today are interested in learning about optimal nutrition for their furry loved ones, and the first place they seek answers is often on the internet. Unfortunately, there are a variety of blogs and courses published online that may disseminate inaccurate or biased information. There is a lot of information out there, so how does one sort out fact from fiction? While nutrition science isn’t perfect, it’s the best approach we have to figure out how to best feed our pets. The following review is part 1 of 3 evidence-based approaches to some common myths found online about pet food and the pet food industry. Myth No. 1: The first two protein sources in a recipe should be from animals and not plants. There is no nutritional evidence in the literature to substantiate this claim. Scientifically, it is not about the ingredients — it is about the nutrients the ingredients provide. Essential amino acids can be provided by both plant and animal proteins. The diet in its entirety and the nutrients provided by the ingredients are more important than the ingredient order and source. Myth No. 2: High quantities of plant-based protein sources is indicative of a low digestibility food. Plant-based proteins may be somewhat less digestible than animal protein sources; however, without digestibility trials comparing specific recipes, this statement cannot be substantiated. Pet foods contain a variety of different protein sources which are used to provide adequate amounts of essential and non-essential amino acids. It is crucial to understand that animals don’t require specific protein sources; rather, they require adequate levels of specific amino acids, which can be supplied by both plant and animal proteins. The body does not differentiate whether the amino acids came from plant- or animal-based ingredients. 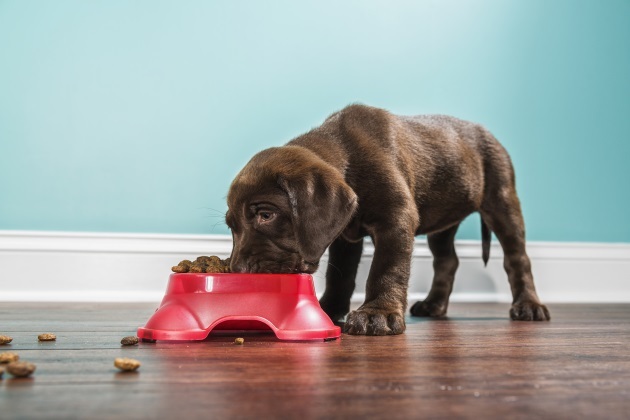 Both animal protein and plant protein sources have advantages and disadvantages that pet food formulators must consider when developing a diet. Animal proteins provide a high-quality balance of amino acids and are sources of fat and minerals, but they are less sustainable and can vary significantly in nutrient composition and quality. On the other hand, plant proteins are less variable in their nutrient composition, are a source of vitamins, minerals and dietary fiber, and are a more environmentally-friendly option (Boye et al., 2010). Although cats are obligate carnivores and require animal-sourced proteins in their diet, complementary plant proteins can be used to provide dogs with all the essential amino acids they require. Myth No. 3: Supplemental amino acids are indicative of a low-quality animal protein. Most ingredients, including many animal-based protein sources, are deficient in at least one essential amino acid. Therefore, to ensure amino acid requirements are met, amino acid supplementation is often necessary. The presence of supplemental amino acids in a food is not indicative of the quality of ingredients included the diets, but rather that the amino acid content of the diet has been balanced to ensure it meets the animal’s requirements. Myth No. 4: Whole body protein homeostasis (a set of processes that affect the level and stability of protein) is better supported by whole ingredient amino acids rather than synthetic amino acids. The advantage of using individual synthetic amino acids in dog and cat foods is they can help balance the essential nutrient content of the diet to meet the needs of dogs and cats without providing protein in excess. Furthermore, studies have shown that protein peptides composed of synthetic N-methylamino acids in particular have increased stability and increased resistance to protein degrading enzymes (Aurelio et al., 2004). Myth No. 5: Omega 3 fatty acids are too unstable to be added to shelf-stable food, and fish oil will quickly oxidize when the bag is opened. Research has shown that although fish oil can undergo oxidation if not properly handled and stabilized, both artificial and natural antioxidant systems (such as mixed tocopherols, a form of vitamin E) can be effective at stabilizing fish oil to prevent premature oxidation (Aldrich, 2006). Myth No. 6: Since there is only one hormone to lower blood sugar (insulin),animals are not designed to eat high carbohydrate diets. Maintaining blood glucose levels within a narrow range is critical for animal well-being. While high blood glucose levels are undesirable (diabetes), low blood glucose can result in a hypoglycemic crisis, which can result in death in extreme situations. The body has sophisticated systems in place to maintain blood glucose within the normal range. The number of hormones involved in lowering blood sugar is not indicative of the body’s ability to metabolize carbohydrates. Carbohydrates are an ideal energy source and spare protein to be used for other critical functions. Healthy animals can handle dietary carbohydrates and evidence does not suggest that a high carbohydrate diet causes diabetes. In fact, glucose levels remain controlled in healthy animals, regardless of the carbohydrate level and source (Asaro et al., 2018; deOliveira et al., 2008). Myth No. 7: Cats dislike sweet tastes, cannot deal with post-feeding glucose surges, and have a limited ability to use starches. Research has shown that cats lack the sweet taste receptor so cannot taste sweetness at all; they are neither attracted nor opposed to the taste (Li et al.,2006). Multiple studies have also observed that cats have a prolonged and flat glycemic response and do not commonly experience post-feeding glucose surges (Asaro et al., 2018). Scientific evidence demonstrates that both dogs and cats can readily digest and metabolize carbohydrates, with no negative impact on the digestion and absorption of other macronutrients (Asaro et al., 2018; deOliveira et al., 2008). Myth No. 8: Additional supplementation is essential in a processed kibble diet. By providing a kibble diet that is complete and balanced according to AAFCO, the food contains all the necessary ingredients required to provide optimal nutrition to an animal. Therefore, additional supplementation is not necessary and should be done with caution. Myth No. 9: Calcium supplementation is recommended for puppies. Not only is this incorrect, but supplementing puppies with calcium can be very dangerous. Excess calcium supplementation while the animal is still growing can lead to skeletal malformations (Goedegebuure & Hazewinkel, 1986). Over-supplementation of calcium is especially concerning for large and giant breed puppies. To address this, AAFCO has recently implemented a maximum allowable amount of calcium in foods for large breed puppies of 1.8 percent on a dry matter basis (DMB) (AAFCO, 2018). The minimum calcium requirement for puppies is 1.2 percent DMB, so the optimal calcium range for large breed puppies is relatively narrow and must be carefully controlled to ensure healthy bone growth and development. Myth No. 10: Senior dogs should eat diets with at least 30 percent protein. There is currently no distinction made in protein requirements for senior dogs compared to adult dogs; senior dogs fall under the category of adult maintenance according to the AAFCO nutrient profiles. High protein diets may not be ideal, or even suitable, for all dogs. When protein is consumed in excess of the body’s requirements, it is broken down into nitrogen-containing compounds and filtered out as waste in the urine. Healthy dogs can handle extra protein, but dogs with renal insufficiency, which is more common amongst older dogs, may benefit from a lower protein diet. Many of the clinical signs of late stage renal insufficiency, such as vomiting and lack of appetite, result from of a build-up of these nitrogenous end products. Feeding a diet that is restricted in protein allows the kidneys to work less and prevents an accumulation of these waste products. However, high quality protein ingredients that provide all essential amino acids in the amount pets require is recommended to help reduce the quantity of waste that the kidneys must eliminate. Natalie Asaro, Nutrition Assistant at Petcurean, received both her BSc in Honours Biological Science and MSc in Companion Animal Nutrition from the University of Guelph. Dr. Jennifer Adolphe, Senior Nutritionist at Petcurean, graduated with a rare and coveted Ph.D. in companion animal nutrition from the University of Saskatchewan. Michele Dixon, Health and Nutrition Specialist at Petcurean, studied animal nutrition through Colorado State University and the Companion Animal Sciences Institute.